Healing Autism In The Kitchen - Is it possible? Find out how! Is it possible to heal health issues like autism, simply through what one eats? This is a question more of us should be asking about any disease? Why are we in this day and age, degenerating faster than previous generations? What is so different now than even 100 years ago? One big thing that has deeply affected our overall health is; our food supply. Our food supply and quality has changed more rapidly and dramatically than any other era in history. 99% of Food Allergies Can Be Cured. Dr. Natasha Campbell-McBride is a medical doctor and nutritionist whose three-year-old son was diagnosed with autism. According to all the “experts,” this was an incurable condition. But Dr. Natasha Campbell-McBride cured her son of his autism. She says that 99% of food allergies can be reversed with diet and high quality probiotics. and like me, began to do her own research. Eventually she began to see a direct link between a number of disorders (learning disorders, psychological disorders, eczema, asthma, allergies, etc.) and digestion. his prognosis changed and his autism was reversed. Gut and Psychology Syndrome: Natural Treatment for Autism, Dyspraxia, A.D.D., Dyslexia, A.D.H.D., Depression, Schizophrenia. You might have tried taking probiotics and they didn’t work for you. It very well may be the brand of the probiotics you are taking. Around that time, I read the book Louder Than Words: A Mother’s Journey in Healing Autism by Jenny McCarthy. (Highly recommended!) In the book, Jenny told the story of how she reversed her son’s autism by keeping him off gluten (wheat) and casein (dairy) and giving him therapeutic grade probiotics. After reading that book, I realized maybe I should try the brand of probiotics she used with her son. You couldn’t find this brand at the health food stores — it is only sold online. So I ordered the brand she recommended and guess what happened? Within THREE days of taking it, my symptoms were GONE. It took two years to fully heal my gut, but I got my life back. What is the GAPS intro diet? Autism, Eczema, Varicose Veins, and More. For those of you new to GAPS, it stands for Gut andPsychology Syndrome. rebalance intestinal flora, and help with nutrient absorption. healthy fats, and amino acids needed to heal and seal the gut wall. things from autoimmune diseases to behavior problems to eczema. and I'm getting all brave and talking about this on the 30th at the Healthy Life Summit with Ann Marie. 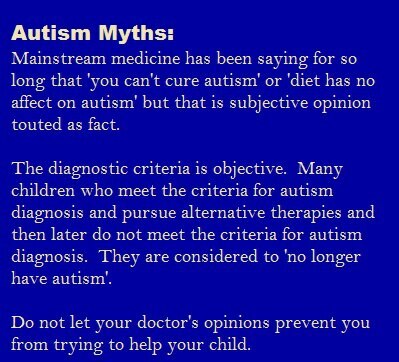 I'm not judging anyone at all, or saying that if your child still has autism that you're doing something wrong. and I'm so thankful so I'm going to put on my big girl pants and talk about it. I'm really happy that I have the internet and things like this summit to share what I learned with you. healthy fats, and amino acids needed to heal and seal the gut wall. Once the gut lining is healed, many chronic health problems magically go away- things from autoimmune diseases to behavior problems to eczema. I had been keeping an eye on Hannah’s development from 4 months old when she wasn’t making eye contact, rolling over, or interested in anything other than nursing, I knew something was up, but it was right near her 1st birthday that I looked up the diagnostic criteria for autism, and realized that yes, she most likely did qualify as autistic, though most professionals won’t diagnose it until 3 years.It wasn’t until she was 4 that she received a formal diagnosis from a professional, but I knew I needed to start intervention as soon as possible in order to give her the greatest chance for a full recovery. I started by keeping her on a Weston A. Price Traditional Diet of all organic, nutrient dense foods as she was weaning, but when I didn’t see improvement with that we tried the gluten free casein free diet, which helped her ability to learn temporarily. After awhile, however, she lapsed back into ‘autism land’. As a desperate young mom with an autistic toddler, and now her infant baby brother, I continued to search for ways to help my child. Googling ‘what to do when the gluten free casein free diet stops working autism’ brought up the GAPS Diet – this was 2009 when GAPS was just beginning to be known across the internet. It took me a few months to work up the motivation to place my small child on such a restrictive diet, but the waking up every 2 hours all night every night, her not making progress in speech or occupational therapy because she was unable to learn, and wanting so desperately to improve her quality of life pushed me to give GAPS a try. Just after Hannah’s 3rd birthday I said we would only try GAPS for 30 days. And I tried it with her, to make sure I felt okay on such a different diet than typical Americans eat. in just 6 weeks of the intro diet!) that I committed to keep going. she was actually eating more than I was as a lactating mother! We continued GAPS for 2-1/2 years, working to heal the gut lining. but slowed back down to a typical toddler amount after a few weeks on GAPS. The most exciting part of Hannah’s improvement on GAPS was that she was once again able to learn. She started making progress in speech, occupational, and physical therapies. She took an interest in other children, was sleeping well at night, and was happier during the day. GAPS gave her quality of life so much improvement, that there was no question that we had to continue the diet as long as it helped her. Hannah has successfully transitioned off of GAPS in recent months and is now eating a normal traditional diet which includes grains and starches – with no regression or recurrence of symptoms! Homeopath, explaining how homeopathy works. 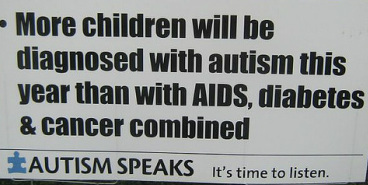 1 in 88 children are being diagnosed with autism.- 1 in 54 boys. will have a 1 in 9 chance of having a child affected by the condition. of a gluten- and casein-free diet for autistic spectrum disorder.and attention deficit disorders. which we in the western world are suffering from. ie no toxic cleaners/sprays/bodycare products in your house and in theirs. then detox the child by eating/living like this and find a Dr who can detox. Natural Autism Therapy – Monster Included! The prevalence of inflammatory diseases in general has increased significantly in the past 60 years. at least double the prevalence of 1980 — and autoimmune disorders, which afflict 1 in 20. Both are linked to autism, especially in the mother. elevated a child’s risk of autism by 80 percent. increased it 350 percent. Genetic studies tell a similar tale. genes of the immune system — also increase the risk of autism, especially when they occur in the mother. In some cases, scientists even see a misguided immune response in action. Mothers of autistic children often have unique antibodies that bind to fetal brain proteins. A few years back, scientists at the MIND Institute, a research center for neurodevelopmental disorders at the University of California, Davis, injected these antibodies into pregnant macaques. (Control animals got antibodies from mothers of typical children.) Animals whose mothers received “autistic” antibodies displayed repetitive behavior. They had trouble socializing with others in the troop. In this model, autism results from an attack on the developing fetus. during the second trimester of pregnancy increases her child’s risk of autism. obesity and, crucially, low-grade inflammation. The theme here is maternal immune dysregulation. Earlier this year, scientists presented direct evidence of this prenatal imbalance. Amniotic fluid collected from Danish newborns who later developed autism looked mildly inflamed. YET when you consider that, as a whole, diseases of immune dysregulation have increased in the past 60 years — and that these disorders are linked to autism — the question seems a little moot. Why are we so prone to inflammatory disorders? What has happened to the modern immune system? There’s a good ancestor answer to that query, it turns out. full of microbes and parasites, don’t suffer from inflammatory diseases as frequently as we do. Generally speaking, autism also follows this pattern. It seems to be less prevalent in the developing world. Usually, epidemiologists fault lack of diagnosis for the apparent absence. A dearth of expertise in the disorder, the argument goes, gives a false impression of scarcity. in a Cambodian population rife with parasites and acute infections, autism was nearly nonexistent. For autoimmune and allergic diseases linked to autism, meanwhile, the evidence is compelling. the immune system is much less prone to diseases of dysregulation. aren’t aware of this — or if they are, they don’t let on. has pointed out that asthma and autism follow similar epidemiological patterns. firstborns seem to be at greater risk; they disproportionately afflict young boys. In the context of allergic disease, the hygiene hypothesis — that we suffer from microbial deprivation — has long been invoked to explain these patterns. Dr. Becker argues that it should apply to autism as well. and that their removal has left us prone to inflammation. “We were willing to put up with hay fever, even some autoimmune disease,” he told me recently. What does stopping the insanity entail? Fix the maternal dysregulation, and you’ve most likely prevented autism. That’s the lesson from rodent experiments. In one, Swiss scientists created a lineage of mice with a genetically reinforced anti-inflammatory signal. Then the scientists inflamed the pregnant mice. The babies emerged fine — no behavioral problems. Control inflammation during pregnancy, and it won’t interfere with fetal brain development. A probiotic, many of which have anti-inflammatory properties, may be of benefit. prevention of the lung disease will begin with the pregnant woman. worms developed solely for the purpose of correcting the wayward, postmodern immune system. Practically speaking, this seems beyond improbable. testing a medicalized parasite called Trichuris suis in autistic adults. has anecdotally shown benefit in autistic children. not only fails to seem outrageous, but also seems inevitable. has aggregated to form the human superorganism. when they go missing, the organism comes unhinged. Future doctors will need to correct the postmodern tendency toward immune dysregulation. Preventive medicine will need, by strange necessity, to emulate the patterns from deep in our past. and we are all part of the solution. Dr. Martha Herbert, Pediatric Neurologist at Harvard explains that autism is "not a life sentence"
and that The brain is not malformed, it is irritated"
Highly recommended as a resource for parents, grandparents, and caregivers. Autism Recovery is happening, contrary to what the media and mainstream schools are saying. that autistic children are actually recovering and alleviating the symptoms of Autism. to help your body naturally alleviate the symptoms of Autism. These recommendations are also a good idea for everybody who wants to live healthier. 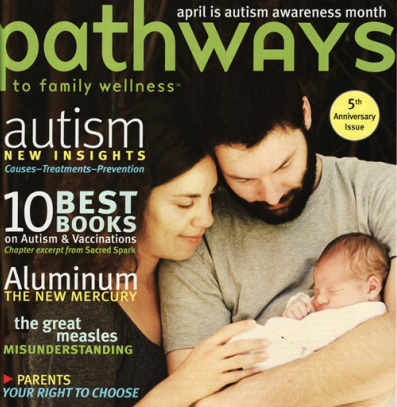 Q- Is the increase in immunisations causing more autism? 3. Does Inflammation Play a Role in Autism? Chronic inflammation may be emerging as a key player in the development of autism spectrum disorders. To make life easier for the cook -all would benefit eating this way- for all of these damage everyone's health. Eliminate sugar, fruit juice, soda, Please be especially careful to limit all sources of fructose. Eat a diet tailored to nutritional type-children respond to dietary changes when properly implemented. Avoid pasteurized milk-imperative for autism, includes all milk products, ice cream, yoghurt, whey-check for dairy in ingredients. Anyone trying to manage Autism without avoiding milk is deceiving themselves. Avoid Flavourings/Colours, preservatives, even natural flavourings must be avoided unless the processor can guarantee, beyond a shadow of a doubt, that caseinate is not included. Make sure your child is getting proper sun exposure, as there is a link between rampant vitamin D deficiency and the proportionate jump in autism. The vitamin D receptor appears in a wide variety of brain tissue early in the fetal development, and activated vitamin D receptors increase nerve growth in your brain. and so she is behind- developmentally around 2-3 I’d estimate in most areas. Holly Riley is the parent of a fully recovered autistic child, her son Quinn. Quinn was able to come out of the Autism fog. Have you been told that autism is a genetic brain disorder that can't be treated? Autism is more than a neuro-developmental condition. Autism is a neurobiological disorder. Children, teenagers and adults diagnosed on the autism spectrum often suffer with underlying biological conditions. Food sensitivities, nutritional deficiencies, chronic infections, heavy metal toxicity, immune dysfunction and genetic susceptibility are at the core of their health problems. BioNutritional Care® can help children suffering with any disorder on the autism spectrum, including attention-deficit disorder (ADD), attention-deficit hyperactivity disorder (ADHD) and other neurodevelopmental problems. Deficiency of glutathione common in ADHD. Folate: Low folate status in pregnancy linked to hyperactivity in children; People with the MTHFR (methyl tetrahydrafolate reductase) gene are predisposed to folate deficiency and more likely to have ADHD. probably due to its role in raising serotonin levels. social reactions, hyperactivity and attention; Synergistic effect with vitamin B6. information processing and behavior in ADHD. due to its role in fatty acid metabolism; Some consider it a safe alternative to stimulant drugs. (attention scores) significantly better than omega 3 fatty acids alone, suggesting a synergistic effect; Phosphatidylserine increases dopamine levels. focus and muscle control (hyperactivity). Deficiency of glutathione common in ADHD." then see graphs of developing cntries how vaccination doesnt work. The main advances in combating disease over 200 years have been better food and clean drinking water. Improved sanitation, less overcrowded and better living conditions also contribute. and didn't drop suddenly after vaccines were introduced. This next site is a must view by every parent and grandparent around the world. The title of the video is "Vaccination — The Hidden Truth" produced in 1998. Why are infants under the age of 2 months being vaccinated? 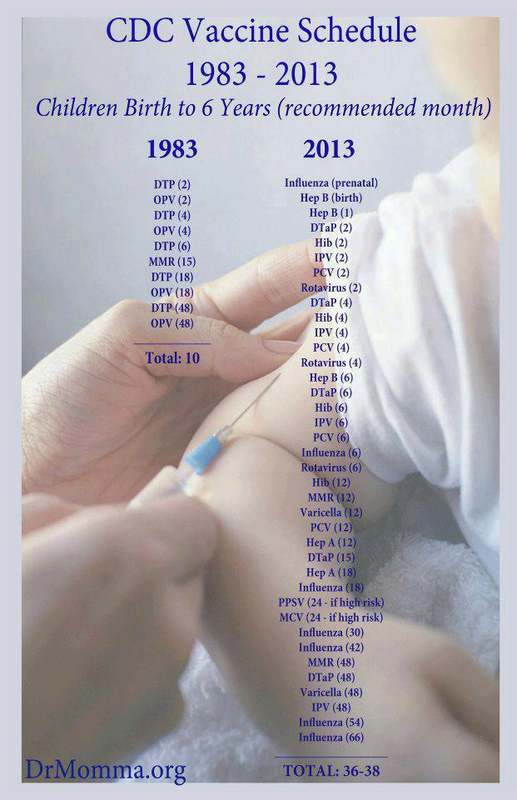 Why are infants and children today being vaccinated with over 20 different vaccinations? These are but a few of the questions that ran through my mind. What I am going to do is give you the vaccination schedule that I found at Dr. Greene's site. I was amazed and horrified at what we are unintentionally doing to our babies. Here are some of the neurological problems seen with the use of aluminum hydroxide and aluminum phosphate in vaccines. In two children aged 3 and 5, doctors at the All Children's Hospital in St. Petersburg, Florida described chronic intestinal pseudo-obstruction, urinary retention and other findings indicative of a generalized loss of autonomic nervous system function (diffuse dysautonomia). The 3-year old had developmental delay and hypotonia (loss of muscle tone). A biopsy of the children's vaccine injection site disclosed elevated aluminum levels. In a study of some 92 patients suffering from this emerging syndrome, eight developed a full-blown demyelinating CNS disorder (multiple sclerosis). [Authier FJ, Cherin P, et al. Central nervous system disease in patients with macrophagic myofasciitis. Brain 2001; 124: 974-983. ] This included sensory and motor symptoms, visual loss, bladder dysfunction, cerebellar signs (loss of balance and coordination) and cognitive (thinking) and behavioral disorders. Dr. Gherardi, the French physician who first described the condition in 1998, has collected over 200 proven cases, One third of these developed an autoimmune disease, such as multiple sclerosis. Of critical importance is his finding that even in the absence of obvious autoimmune disease there is evidence of chronic immune stimulation caused by the injected aluminum, known to be a very powerful immune adjuvant. 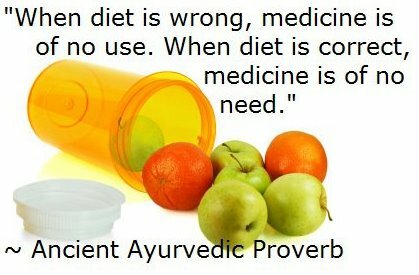 The reason this is so important is that there is overwhelming evidence that chronic immune activation in the brain (activation of microglial cells in the brain) is a major cause of damage in numerous degenerative brain disorders, from multiple sclerosis to the classic neurodegenerative diseases (Alzheimer's disease, Parkinson's and ALS). In fact, I have presented evidence that chronic immune activation of CNS microglia is a major cause of autism, attention deficit disorder and Gulf War Syndrome. Dr. Gherardi emphasizes that once the aluminum is injected into the muscle, the immune activation persists for years. In addition, we must consider the effect of the aluminum that travels to the brain itself. Numerous studies have shown harmful effects when aluminum accumulates in the brain. A growing amount of evidence points to high brain aluminum levels as a major contributor to Alzheimer's disease and possibly Parkinson's disease and ALS (Lou Geherig's disease). This may also explain the 10X increase in Alzheimer's disease in those receiving the flu vaccine 5 years in a row. which means that no person HAS to vaccinate their children in order for them to attend school. There are 3 types of exemptions: Medical, Religious, and Philosophical. 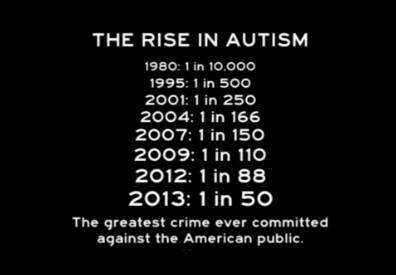 Autism is definitely caused by a combination of things and the poisons within vaccines play a part in the picture. Although vaccines were mandated in the '60's/70's there weren't as many. The massive influx of chemicals on a newborns body is impossible for it to deal with, especially when it's immune system is still in its development. Autism is no doubt toxin overload. These links are provided purely for researching into what action you will take. tried out the first smallpox vaccination on his own 10 month old son. His son remained mentally retarded until his death at the age of 21. Jenner refused to have his second child vaccinated. ie Immunisation is only part of the problem. 3. Dr. James Howenstines research- the Symptoms of Vaccination Poisoning/photo. has seen few or no autism cases amongst 35,000 unvaccinated child patients. Autism In Amish Children – 1 in 10,000.
passed away due to complications from vaccines. can make informed decisions on whether or not vaccines are suitable for their children. The doctor against our wishes gave her the flu shot. Since then she has been having seizures and now has to wear a pacemaker/defibrilator. This would never have happened if all the information about vaccines and drugs was made known…. As a society we need to know how many people who get vaccinated are getting sick after vaccination and how many go on to die or are permanently injured. It is very important that ALL serious health problems, which develop after vaccination, be reported to VAERS. You should make a vaccine adverse event report to VAERS if you or your child has regressed physically, mentally or emotionally after vaccination or has experienced acute symptoms within hours, days or weeks of vaccination. Please visit Ask 8, If You Vaccinate webpage for information on vaccine reaction symptoms and our injury compensation webpage to learn more about filing an injury claim. Information and support for people who are concerned about the risks and benefits. AVN-Dedicated to health can be maintained without the use of pharmaceutical drugs and vaccines. children die at a rate 8 times greater than normal within three days after getting a DPT vaccination. were found to be 5 times more likely to contract the disease than children who had not received the vaccine. The February 1981 issue of the Journal of the American Medical Association found that 90% of obstetricians and 66% of pediatricians refused to take the rubella vaccine. While not as good as NOT getting vaccinated, I have been told by a number of healers that the homeopathic medicine Thuja was very helpful. Why I Never get Flu Shots mercola.com/flu_shots. We do it backwards in this country! The new understanding considers the whole individual realizing that when we inject a vaccine, the whole body is affected. When a pregnant mother gets a vaccine with aluminum or mercury it can disrupt the delicate balance in the unborn child. Also, the use of antibiotics during pregnancy and labor can greatly affect the unborn child and mother, putting the child’s immunity at risk. Then if the child is born by cesarean section (C-section) and does not come down the birth canal, that child is at another huge disadvantage. The first vaccine given Hepatitis B (which is full of aluminum), drives the immune system in the opposite direction than what human nature would have it go, directing it to the Th2 response ……causing an imbalance. If the baby is not breast fed, they are at another disadvantage…formula does not do what mother’s milk does for the baby’s digestive or immune system……Then baby goes into the pediatrician’s office for the "well-baby visit" at two months to get several aluminum and mercury laced vaccines drastically suppresses the Th1 to more generation of Th2.…again the vicious cycle continues…..38 different vaccines by the age of 18 months. It is no surprise to me that we have a whole generation of children suffering with auto-immune malfunction illnesses! The immune system has never had that type of imbalance generated in the history of mankind! I believe this is proof that the vaccine program is based on "Junk Science" and should be halted immediately. Yes, vaccines may cause autism and many other health problems because they drive the immune system in the opposite direction than what nature would do, a Th2 dominance. The toxic load is just too much for the undeveloped immune system as well. Vaccines are not even highly effective at raising antibodies to begin with. For this reason, booster shots to revaccinate children are added to the vaccine schedule almost yearly. But the #1 reason that I would refuse any and every vaccine is because of the true effect they have on the immune system. Rather than causing immunity, vaccines paralyze the immune system, leaving it disabled. Vaccinations actually shift the body toward allergy and autoimmunity.Thimerosal was developed by Eli Lilly in 1929. Thimerosal is a form of ethylmercury, and is 50% mercury by weight. Mercury is almost the deadliest element on earth, second only to plutonium. Nervous system and brain damage are both proven effects of mercury exposure whether the toxin is inhaled, eaten or even placed on the skin. Starting in the 1990s, infants were being given multiple doses of mercury-laced vaccines. During this decade, babies were injected with mercury levels that exceeded the federal safety levels for dietary mercury by 87 times. By 1999, the government had asked pharmaceutical companies to remove all thimerosal from vaccines. However, there is plentiful evidence that the CDC was working against the government recommendation. In 2010, even though many parents are misled and believe vaccines are mercury-free, the thimerosal disaster continues. Many vaccines contain “trace” amounts of thimerosal. When a child receives numerous vaccines in a single day, trace + trace + trace still equals a toxic exposure. And unless special ordered, flu vaccines still contain up to 25 micrograms of this dangerous additive. Thimerosal has been banned in Russia, Denmark, Austria, Japan, Great Britain and all the Scandinavian countries. Disclaimer: This post is not medical advice. I am not a doctor. I am not involved in any decisions made from the information above. Please work with your trusted healthcare provider to develop a health protocol that works for you.